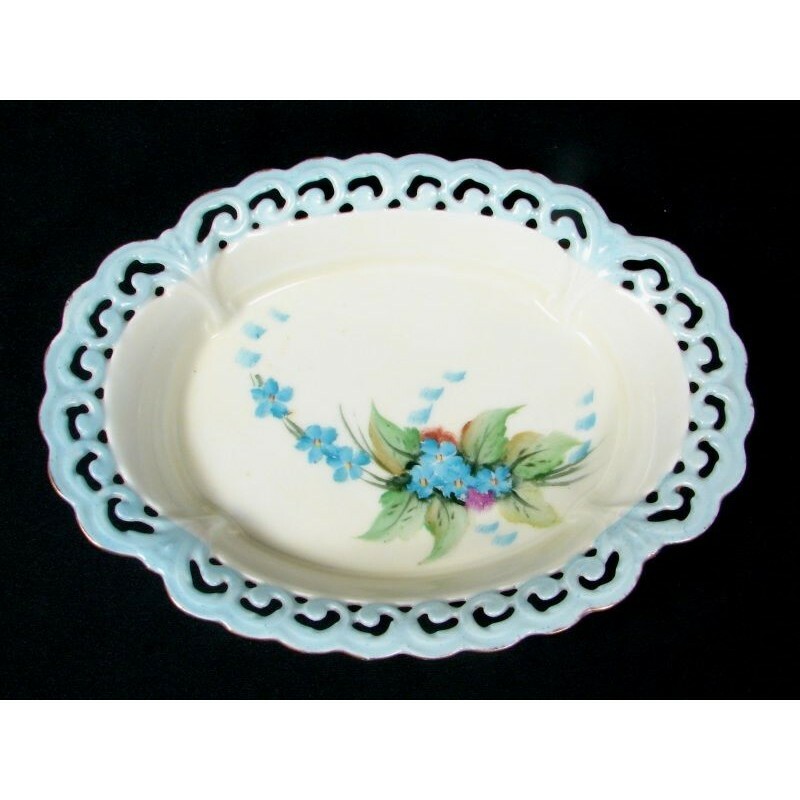 This open oval trinket dish is a sweet gem, perfect for adding a soft, feminine touch to almost any room. 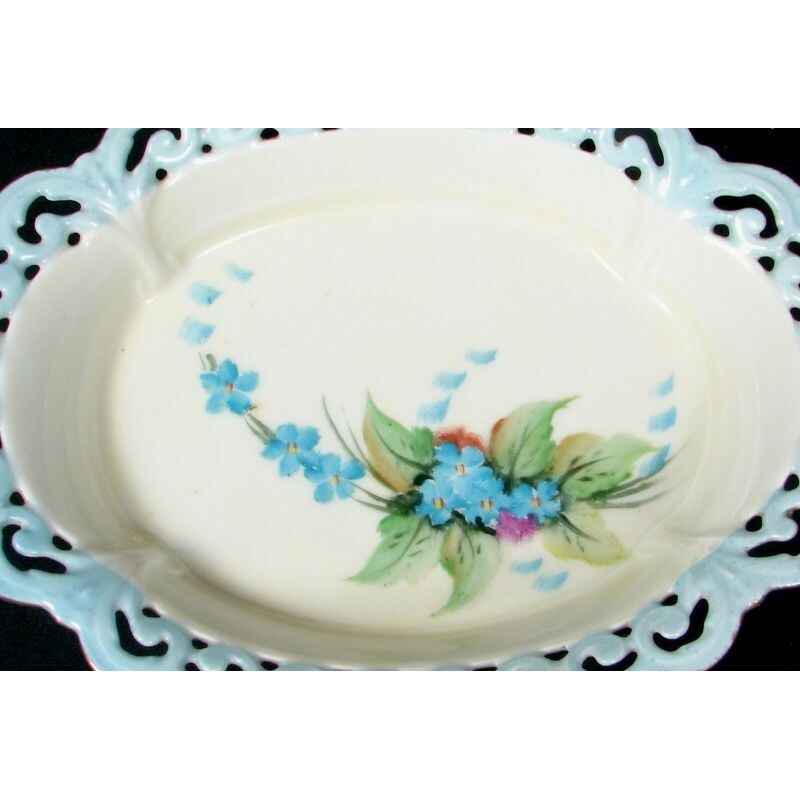 The powdery blue pierced rim delicately frames a hand-painted floral tuft that sweeps, equally soft and sweet, across the dish floor. Measuring 7" long and 5" wide, this gorgeous piece is large enough to capture attention, small enough to accent almost any space. 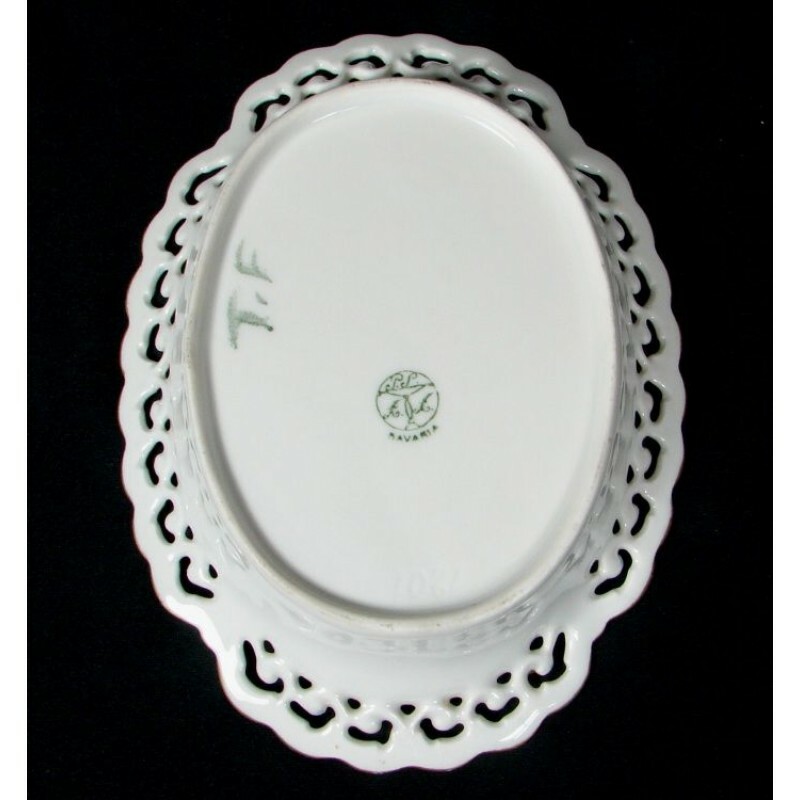 Dating to the early 1900s, this is Rontgen mark #2025, used by Porcelain Factory Schonwald of Arzberg, Bavaria, Germany from 1904 to 1927. 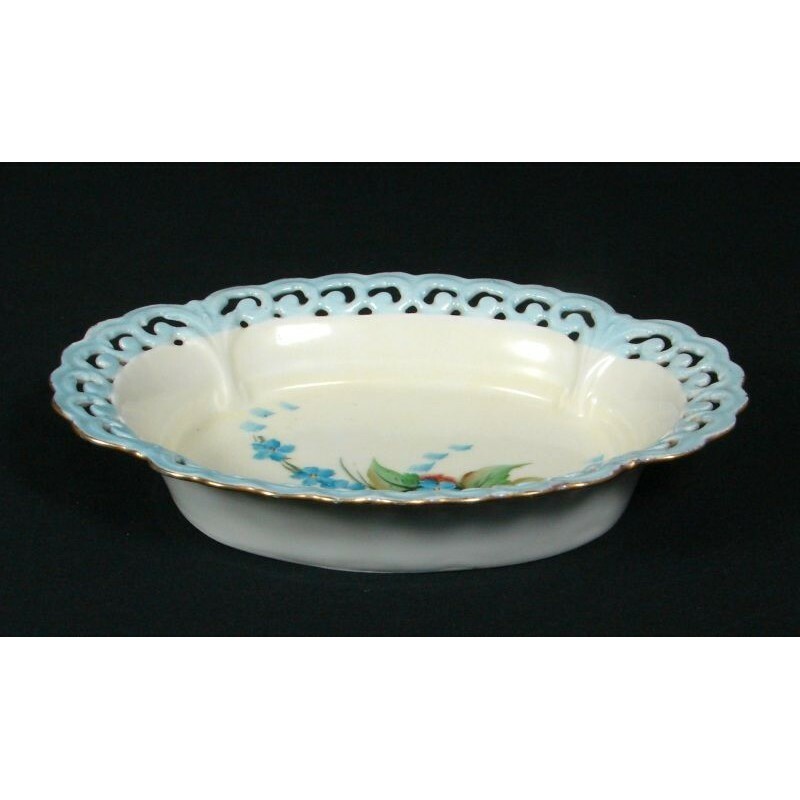 One of the scallop rounds has a bit of roughness at the edge and a hint of wear to the gilt trim, but overall is in excellent condition, with no nicks, chips or cracks.